Cornelia Keating is a vocalist from Cork city Ireland. Her singing style incorporates a lifetime love of folk, jazz and the blues. 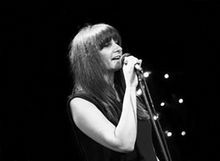 Cornelia started singing in Cork Singers Club in Ireland in 2012,singing the songs she learned from her Mother. Since then she has performed all over Cork city and county with a range of local musicians. Her vocal style is unique and compelling as she draws from a range of influences and genres. In 2014 she met a travelling Jon Hicks and they have been performing as an acoustic duo since. The pair have combined their love of melody and rhythm resulting in their self titled debut album released this year.